Boys blue swirl & black 4 piece wedding suit for baby boys, toddler or older boy. 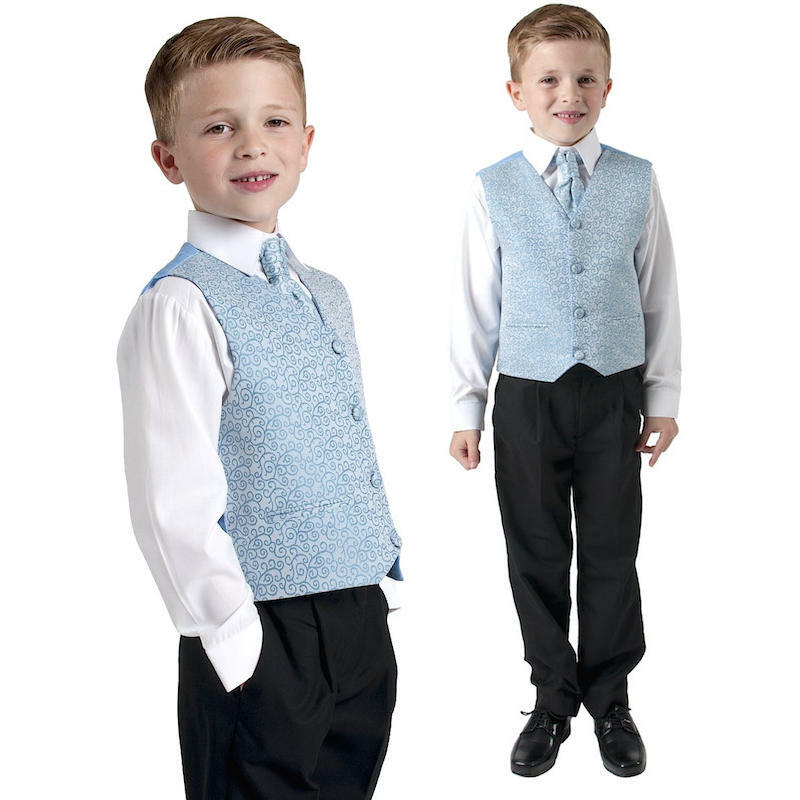 The perfect boys suit for a wedding or special occasion. 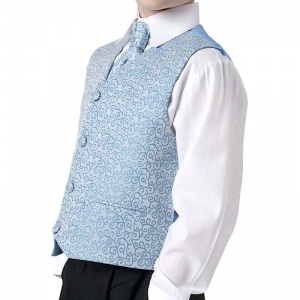 Waistcoat: Blue swirl pattern on a sky blue layer, fully lined, double pockets, 3 clear centre buttons, plain back, adjustable strap/buckle on back for perfect fit. Trousers: Black trousers, button fly, double pockets, belt hoops, elasticated on rear. Cravat: Matching blue swirl pattern cravat, diamante to the centre, velcro fastening at the back, complimenting the suit perfectly. 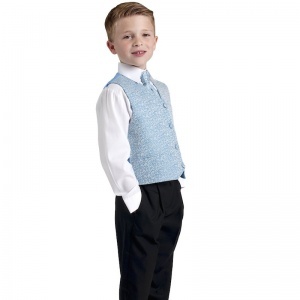 This boys wedding suit in blue will make him look like the perfect handsome gentleman. 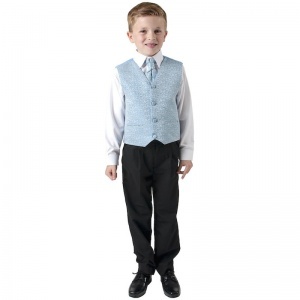 The perfect suit to co-ordinate with the ushers and groom in the wedding party or to wear for a special occasion. I have received today a 4 piece suit from you. Its adorable and just what we wanted for our baby to wear for a wedding that is taking place this Saturday. Thank you for your great website and gorgeous little suit!